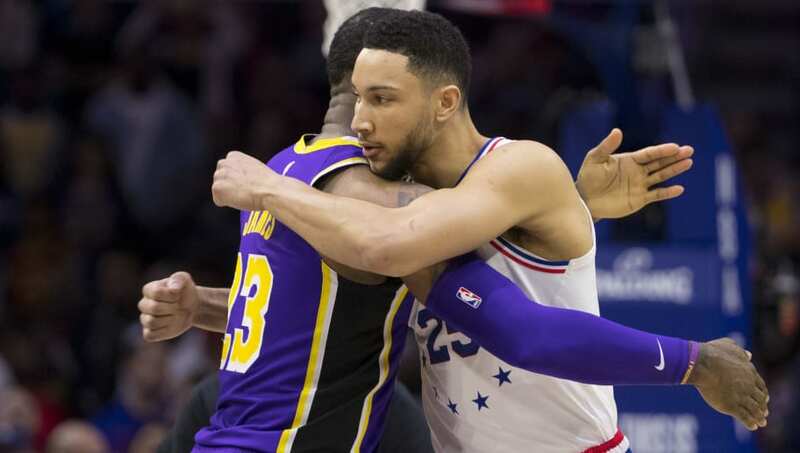 ​Philadelphia 76ers star Ben Simmons has recently ​expressed interest in speaking with Los Angeles Lakers legend and president of basketball operations Magic Johnson. According to Simmons himself, their meeting would not be about a potential move to LA this summer-- he'd rather simply pick Magic's brain about how to maximize being a gigantic point guard in the ​NBA. Johnson certainly is the perfect mentor to seek out, but Sixers GM Elton Brand is not having any of it. Before the news even emerged that Simmons was interested, Brand had already denied the request to ​speak with the Laker legend. Brand's decision comes off as an insecure move, but he does has every right to make such a call. Simmons is an integral part of the Sixers roster, and if they want to make a title run, they are going to need the Aussie in their starting five. And while Simmons comes off as an innocent student of the game, he certainly has a taste for the LA lifestyle. He's currently dating mega-socialite Kendall Jenner, and recently signed with Rich Paul and the Klutch Sports agency inextricably linked with ​LeBron James. There is a real respect between Simmons and the Lakers. Brand may be making the right call in the short term cutting this off at the pass, but if there really is some chemistry there, he won't be able to obstruct it forever.